Bubble Guppies Season 6 Is Yet To Be Announced By Nick Jr. 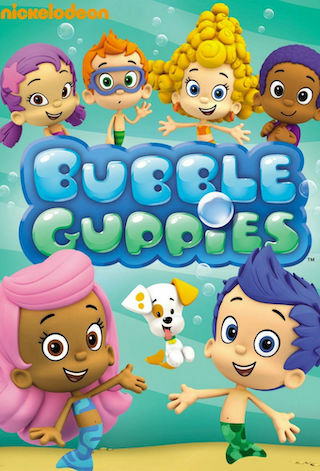 Bubble Guppies is an American 30 minute animation children television series, which kicked off on January 24, 2011, on Nick Jr. and is broadcast every Friday at 11:00. The show is currently in its 5th season. Nick Jr. is yet to announce the renewal of Bubble Guppies for Season 6 as well as its cancelation. Sign up to track down the show's status and its release date. Jump into a watery world of learning and laughter with Bubble Guppies, a hilarious, rockin', interactive show that teaches kids about a wide range of topics--from dinosaurs to dentists, rock & roll to recycling, and colors to cowboys. Through these topics, kids learn about science, math, literacy, and much more in this preschool musical comedy set in a vibrant, aquarium-inspired underwater classroom. Molly, Gil, and their fish-tailed classmates are just like all preschoolers--learning about the world around them through playful investigation. Set within an eye-popping 3D CGI world of swaying kelp forests, fantastical coral reefs, and undersea gardens and featuring original pop, rock, country, and hip-hop music, the show teaches and models school-readiness skills through songs, dances, and lots of laughs. So put on your water-wings, and jump in for learning and laughs with Bubble Guppies!